Recently I installed Informatica v9.6.1 and Oracle 11g (for repository database) on a windows 7 virtual machine on my macbook air. Here I will be sharing a step by step guide on how you can also install latest Informatica PowerCenter software for personal use. I am assuming you already have a windows 7 machine, either virtual or dedicated, hence I will be leaving it out of this guide. As this is a long process I am dividing this guide into 6 parts. Each covering one of the below topics needed for the installation. 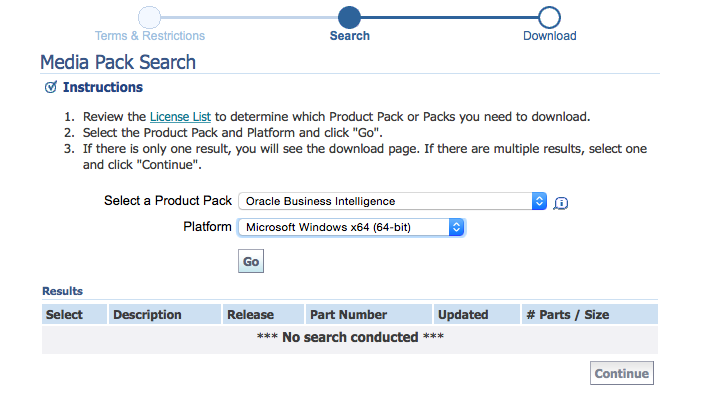 It will take a while to download, meanwhile follow next steps to get the Informatica package 9.6.1. 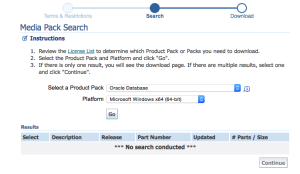 STEP7:- After the Oracle 11g files are download unpack the package. You will have two files which you need to select together and unzip into the same folder. Ignore if there are any errors and just skip to next file. 961_Server_Installer_winem-64t – This zip file contains the server software which we need to install to run the Informatica PowerCenter Server. Unzip the file into a subdirectory named InfaServer (create new) to get the following files in it. We will use the install file in this directory to install the server. Please refer Part 3 of this post to find instruction for installing the server. 961_Client_Installer_win32-x86 – This zip file contains the client software (Designer, Monitor, Workflow Manager etc). We will install this after installing the server software. Unzip the file into a subdirectory named InfaClient (create new) to get the following files in it. We will use the install file in this directory to install the Informatica clients. Please refer to Part 4 of this post to find instructions for installing the clients. This concludes Part 1 of this Post. We are ready with all the installer files to install PowerCenter 9.6.1 on our windows 7 machine. Please follow Part 2 of this post to start the Oracle 11g installation and configure the database to be used as Informatica Repository. This is the most complete and accurate guide on how to download the Informatica v9.6.1 PowerCenter on Windows 7 64 bit machine and how to unzip it and prepare it for an installation. Can you send me the license key alone. Thanks for the tutorial. But I got stuck at Step 8. while unzipping the last folder as shown above that use other .z files it gives me error ” the same volume cannot be used as both the source and destination”, Error 0x80004005. this error is for server and after skipping it, I am able to unzip client only. Thus I am unable to unzip all the files. Kindly let me know where I am getting wrong. Try using iZarc unzipper instead of Windows default unzipper. Thanks for the detailed explanation on Informatica Installation. I am facing exactly the same issue as Apeksha. Can anyone help on this issue to get it resolved? I have the same problem … anyone may help ? Please check if Informatica service is running in the services.msc console. If not start the service before accessing the Admin Console page. Pls check if you have WinHTTP service running. If not, Go to Programs and Features->Turn on or off Windows features. Check the Internet Information Services. Under that the WorldWideWeb service is what you need. Can you pls pind me the link from where u have downloaded powerCenter 9.6.1 for windows 7. We are currently not been able to access it from the Oracle cloud delivery portal.When searching with ” Oracle Business Intelligence” we are not getting anything. Any help wud be appreciated. You tutorial has been extremely helpful. However I am stuck at this point where I am not able to connect to the oracle db repository from informatica. Even I faced the same issue. Things have changed a bit on the Oracle website. One can now download the Informatica files by selecting “Oracle Informatica PowerCenter and PowerConnect Adapters”. Rest of the things are same as Mr.Raghav explained. You can also go through the following video as well. Yes, Raghav. 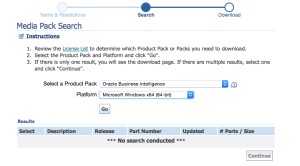 I am also facing the same issue.We are not able to find Oracle Business Intelligence Media Pack for Informatica. I am looking to install Informatica PC 9.6.1 on Windows 10 platform. As in Bhargav Chowdary’s case, even I am facing the same issue. I could see many things like OBI Foundation Suite, Standard Edition etc., but not able to figure out Oracle Business Intelligence as in the screenshot posted. . Could you help out, please? Thank You Raghav. This post was really very helpful! Search for “Oracle Informatica PowerCenter and PowerConnect Adapters” and then select ‘Microsoft Windows x64 (64-bit)’ under platform section. Click ‘Continue’ you will get as show below. Recently Informatica 64bit version stopped working on my Windows 10 machine. I un-installed the package and was able to successfully install the Client Tool. But when I tried to re-install the Server, it just extracts the package but fails to display the per-requisite page to start the server installation. What could be the problem? Any help would be really appreciated. Did you ever get this to work ? If so how ? Thank you. Thanks for this so much helpful post. I am trying to download Informatica from oracle cloud delivery portal.I am not able to find by ” Oracle Business Intelligence”. and PowerConnect Adapters 9.1 for Windows x86 (32-bit) is unavailable. Your help on this wud be highly appreciated. 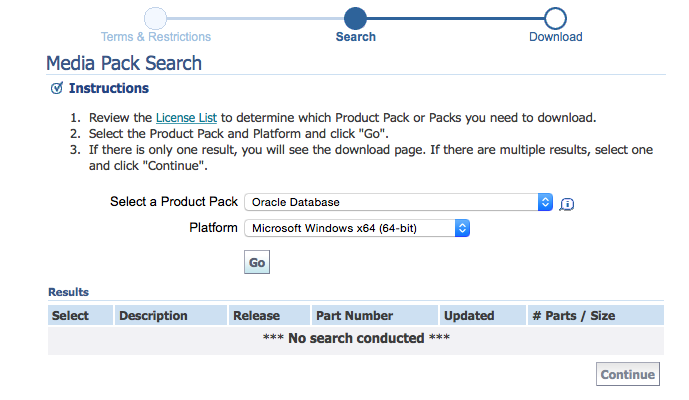 (BTW, I wish I could share a screenshot) – but anyways – even before you type anything in the search box select the Release options in the drop down and Enter “Oracle Business Intelligence” The search should show up 199 results – and precisely 11th in the drop down is what we need to download. I encountered an error while unpacking the Informatica software detailed in Step 8. I encountered the error “Invalid compressed data to extract”. The error occured while extracting the file “dac_win_11g_infa_win_64bit_961.z01”. I am using Winzip 17. I’ve just started learning Informatica and thanks to Raghav, I’m half way thru with installing the software on my VM…so far so good but to start off with – due to a few changes in the website (oracle) – i presume and noticed a few messages here from people finding it difficult to locate the exact file to download. hope this helps. I’m thinking to prepare a short documents on how I’ve been able to achieve the installation process…but all thanks to Raghav – my dream to self learn Informatica would’ve just been a dream forever. Cheers. Murali. Can Informatica 9.5.1 works with Windows 10 64-bit. My laptop is Windows 8 64bit configuration. I downloaded the Oracle 11g and Informatica files as mentioned. “INS-13001 environment does not meet minimum requirements”. Kindly suggest what to do.